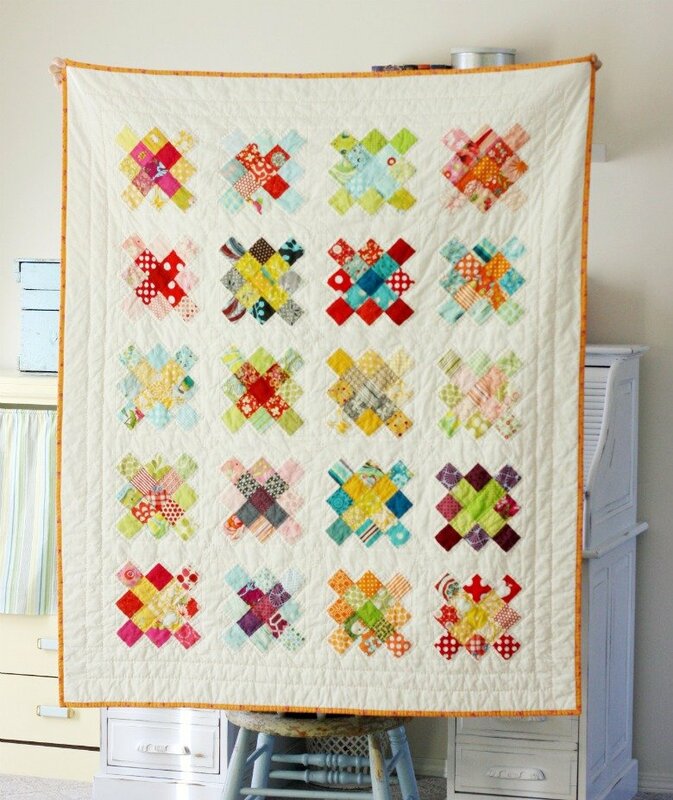 "You can read about my original inspiration for this block (at the link below). Of course when I made the first few blocks I had no idea how they would look in a finished quilt. I'm quite happy with the results though! Sort of a mix of old-fashioned and modern, which is exactly what I love! 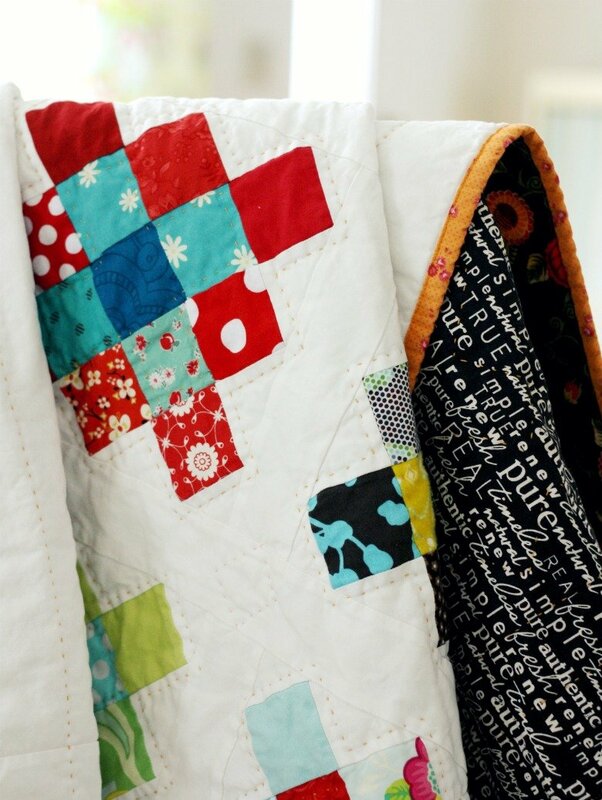 "The final size of my quilt after being quilted and washed, is about 50"x60", which is an nice lap size quilt. 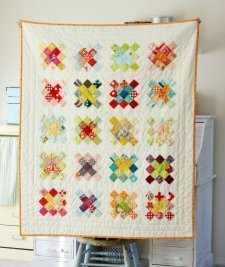 I'll give you instructions how to make one block, but will also give you fabric amounts for making a quilt the same size as mine."